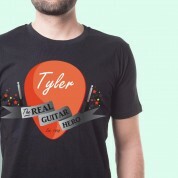 The perfect present for the guitar perfectionist in your life, whether it's a real guitar or on a video game. 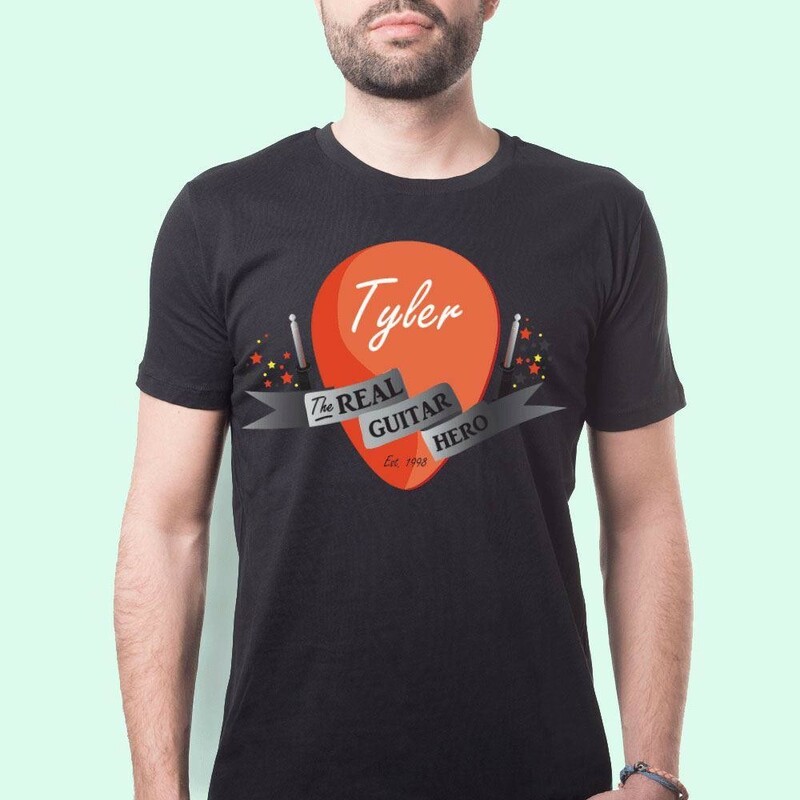 This shirt features a plectrum motif flanked with jack ports and decorated with a flowing banner to proclaim your pals epic guitar skills to the world. 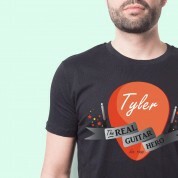 Add their name and year of birth to the plectrum to solidify their rock star status! Perfect for his birthday or Christmas, he is sure to love this boldly designed t-shirt.